The end of the smooth plane with the maker's mark. The plane, sometimes referred to as a smoothing plane, is wooden except for the iron blade, which is held in place by a slanted wedge. The verticle handle at the end indicates this was for use with two hands. 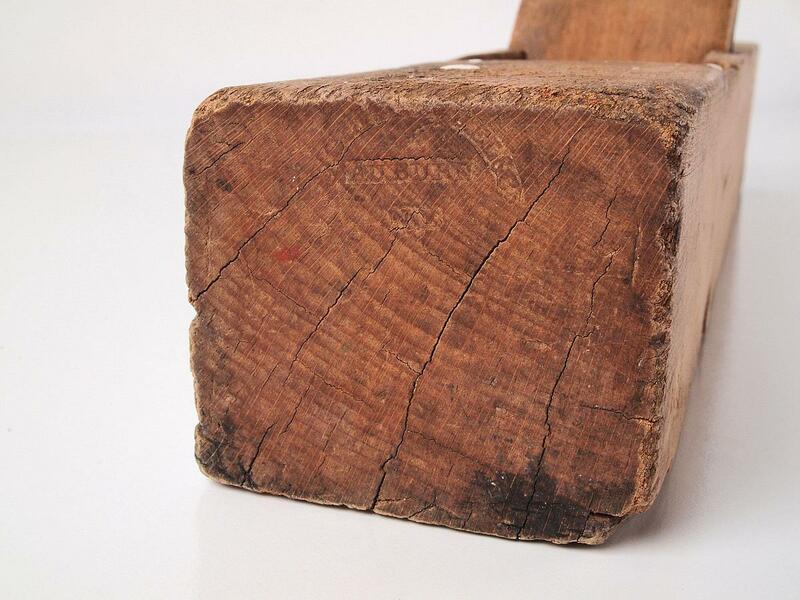 It was used for the finest finishing work and typically the last plane used on a wood surface. 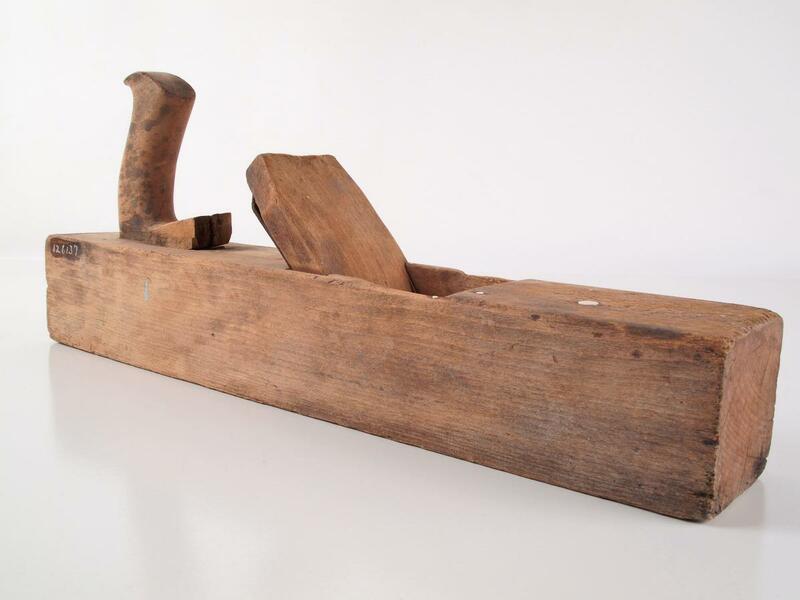 Haldane's plane was made in Auburn, NY, but the maker's name has been worn away. Before sandpaper was in common use, surfaces such as veneers were not rubbed down but "smoothed" with the smooth plane. It was essential to set the iron with extreme precision and to work with the highest degree of skill. Experienced wood workers believe the smooth plane gives a superior finish compared to that made by sandpaper or scrapers. The number at the far left, 126137, is the Public Museum's accession number.